‘As I age,’ says RC regular Mark Holyoake, ‘my taste in bikes has changed. Gone are the days of race-reps and the like; I have fond memories of a Honda NC45 and an MV 750-4 but my preference these days is for something simpler, lighter and manageable. It needs to be manageable not just on the move but in the garage and on the drive. Back problems and ailing knees prescribe a different style of machine. 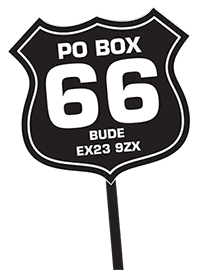 ‘When I was a lad and had a BMW R60/7 with an S-type cockpit fairing, I recall a memorable trip. 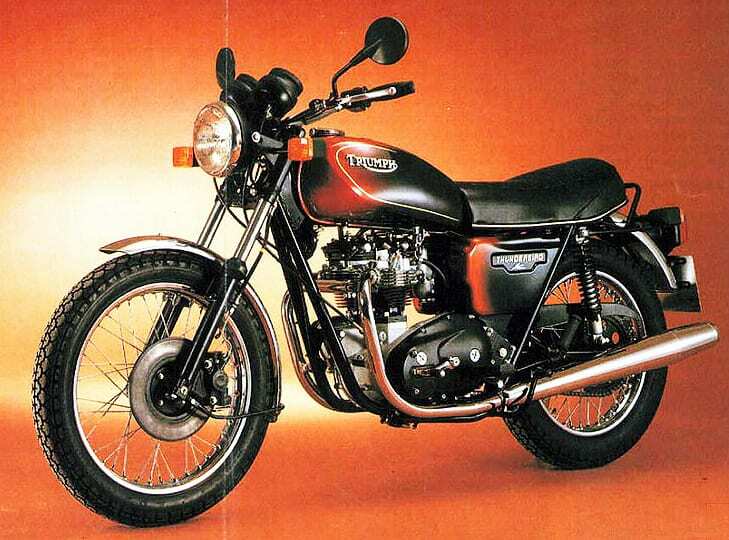 I encountered not only an Enfield (imported by Slater’s back then) but a 750 Triumph. I suspect it was a Bonnie, but it could have been a TR7RV or the like. And it swept round the borders roads twixt England and Wales in a very sprightly manner and seemed at ease, whereas the Beemer needed coaxing a little more. I’d seen reports of the Thunderbird 650, tested against a R65 BMW, and that made me ponder about buying one of those… one day, perhaps. However ‘one day’ seemed to fade when Triumph wound up in 1983, and the chance of a sprightly twin seemed unlikely. ‘Many years have since elapsed and many bikes have been and gone, but the late 1970s Triumphs still hold some appeal. I even had a dalliance with a T140E a few years ago. Lightness? Yep. Torque? Yep. But it was sadly a bit lumpy and vibratory too. It might simply have been a poor one but it wasn’t THE one. 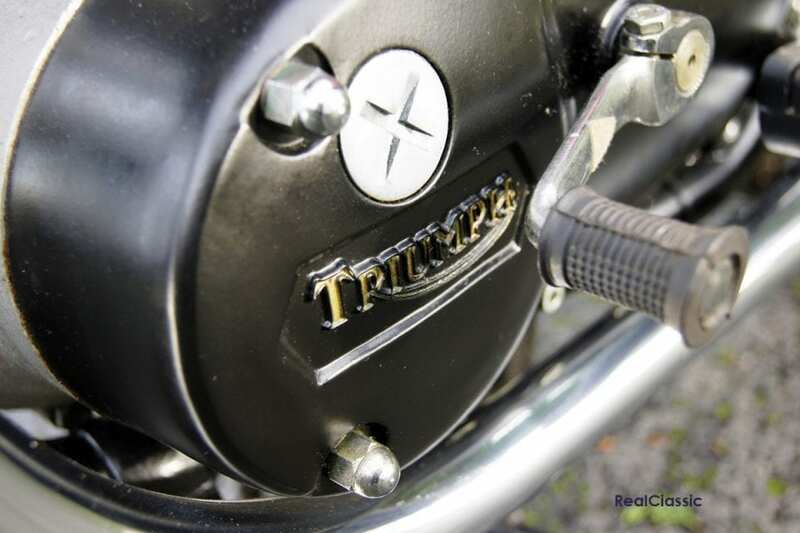 The TR65’s motor was a truncated T140 lump with the stroke shortened from 82mm down to 71.5mm, suggesting a promisingly peppy, over-square package. 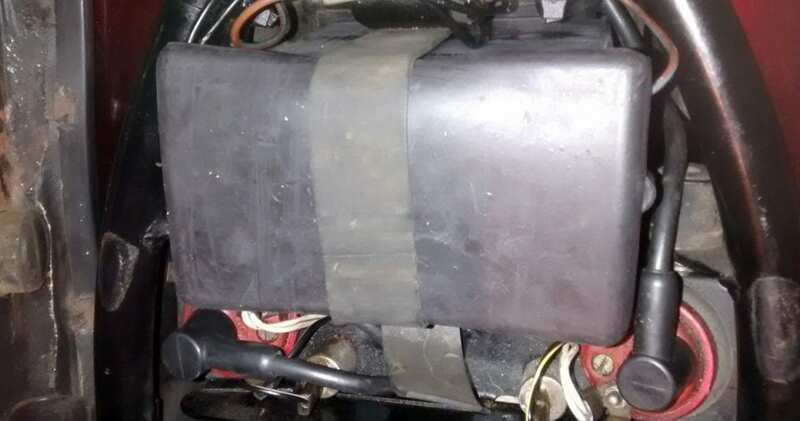 Reduced from 744cc, the 649cc motor needed a new crank, a shorter barrel and pushrods and some machining, but most other items for the new Thunderbird could come straight off the Meriden shelf or be bought in from a range of European parts suppliers. The Thunderbird was intended to be cheaper than the standard T140 at the point of purchase, but it also needed to be economical in use. 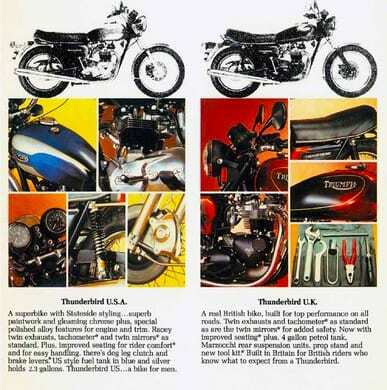 In many ways, the Thunderbird succeeded in its cost saving mission when compared to the 750 twins. 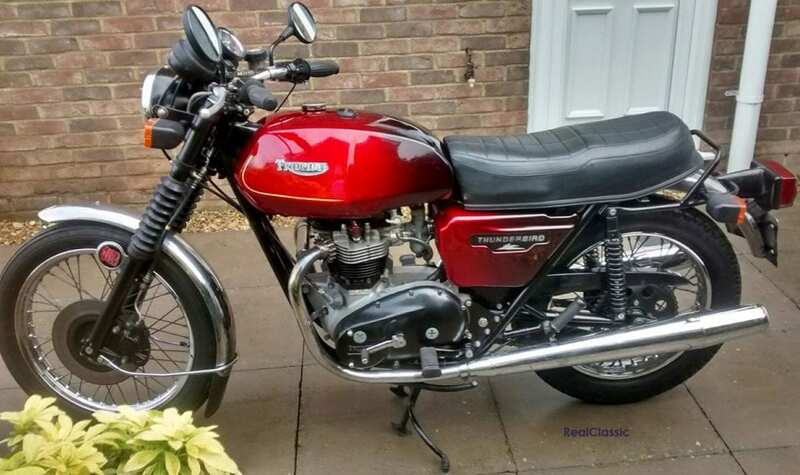 It used a rear drum brake instead of a disc, points ignition instead of electronic, and uninspiring Gold Seal tyres instead of reliable Roadrunners. The TR65 ditched the T140’s tacho and filled the gap with warning lights, and it came with a kickstart only; no electric start luxury here. Chrome and polish were avoided where possible so the cycle parts were painted black – even the siamesed exhaust system was black… and of course, required just the one silencer. Chunky black plastic indicators came from Germany, a new four-gallon petrol tank from Italy (although supply was patchy to start with so some TR65s were sold with the old-style breadbin tank instead), the wheel rims were by Redaelli and petrol taps from Paioli. In a reverse to modern trends, the first TR65s were fitted only with a centrestand and no prop stand. The masterstroke with the Thunderbird came from combining its perky short-stroke motor with a single Amal concentric carb. That had a whole set of interesting implications: it saved the cost of a second carb and granted the TR65 the potential for prodigious fuel economy. During magazine tests when new it returned an average of 54mpg but couriers went on to demonstrate that it was possible to achieve 70mpg if you stuck to the legal speed limit. The Thunderbird also enjoyed a useful weight advantage over the 750 twins. The standard T140 was rated at 415lb while the electric start version massed 430lb. The TR65 is listed at 395lb – so it should feel quite sprightly compared to a T140ES, for instance. Of course, the TR65’s seat height is the same 31 inches as the T140 and TR7, so while it might feel a little lighter it’s not actually any smaller than its 750 siblings. It’s not likely to be any easier to kick over, either. 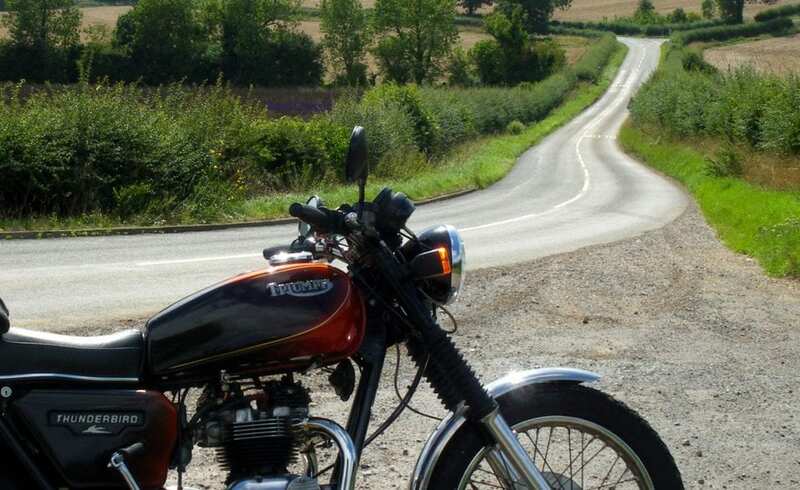 The TR65 originally ran at 8.6:1 compression – much the same as the twin-carb 750s at the start of the 1970s. By contrast the T140E Bonnie built into the next decade ran at 7.9:1, so would be a little less hefty to kick up. So depending on how worn a TR65 engine is, and whether it’s still fitted with original pistons, it might actually need a firm foot to fire it up. ‘The TR65 weighed about the same as a Japanese 400/250, with (ahem) a top speed to match. It doesn’t have the vibration of the larger Triumph twin vibration (or all the torque of the 750, tis true), but it is svelte and lovely to flick around. As they say, Less is More. And it seems, thus far, to be knee-friendly. 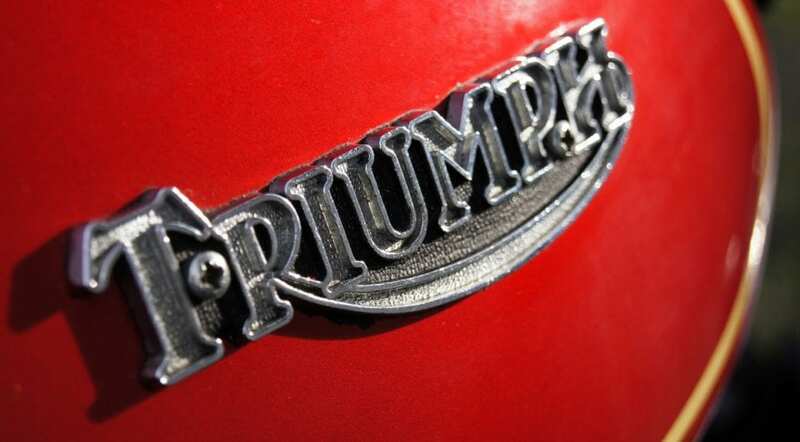 ‘The paintwork on the bread-bin petrol tank (not an Italian tank) seems fine and original. The cut-price instruments missing a kill switch may be ‘character’. As is the recently fitted battery ‘top-hat’, which prevents singeing of the backside if the terminals hit the seat base. Kick starting seems easy, and it ticks over. My old T140E was never as compliant. Maybe the Mk1 Amal and a quick tickle is just right for this twin. ‘The 3.25 x 19 and 4.00 x 18 tyres are old fashioned, as are the currently-fitted tyres. The 650 wears an Avon Speedmaster up front and SM Mk2 at the back. They’re not quite as old as the bike, and aren’t the K70s which it was originally supplied with, but are still in need of changing, I think. The bike rolls around OK on them, and once warmed a little they’re enjoyable on the back lanes. This brings back memories of the Triumph I met in the borders – its ease of handling and a manner of going, which may be a little lost on some. ‘The seating position? Maybe the pegs are a little too far forward, but after a while I acclimatised and wasn’t wrapped in knots as on the MV or the NC of times gone by. The front brake might need an overhaul but it stops the bike OK, as does the drum rear. Wire wheels. Lovely. ‘The 650 is comfy enough for reasonable progress. In some ways it reminds me of the 60/7… less the shaft, and quite a diet too, and with similar indicators. Light(er) bikes rule! Well they do today, for me. ‘The Thunderbird has delightful steering and no destructive vibes. It appears to be that rare thing: a rider’s mount. Conceived as a budget model to tempt punters – and out popped a delightful, characterful companion. It might’ve been a budget bike back then, but today it’s almost a perfect bike for this classic enthusiast. Thank you Meriden. Good job. ‘I gather these later ‘budget’ twins have the four-valve pump and some of the other improvements which the 750s received, less the Bing twin carbs. This one has a side-stand too, probably from a different twin. 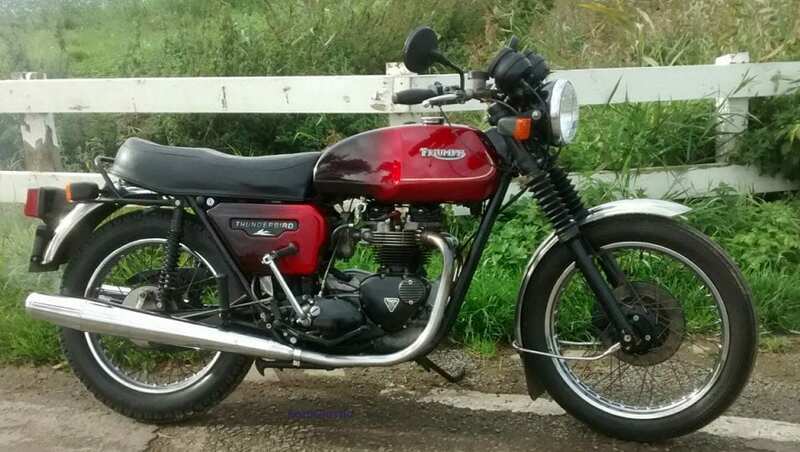 Although the TR65 is rare – just 400 or so made, I gather – cycle parts from the twins fit and Meriden knowledge may keep it going.